Altstadt (German for "old town") in the Swiss city of Zürich encompasses the area of the entire historical city before 1893, before the incorporation of what are now districts 2 to 12 into the municipality, over the period 1893 to 1934. Altstadt approximately corresponds to the area enclosed by the former city ramparts. Administratively, District 1 is divided into four parts or quarters by the Zürich statistical office, Rathaus (town hall), Hochschulen (universities), Lindenhof ("lime trees courtyard") and City. Lindenhof and Rathaus correspond to the parts of the medieval city left (west) and right (east) of the Limmat, respectively, while City and Hochschulen include the area of the Early Modern city west and east of the medieval walls, respectively. 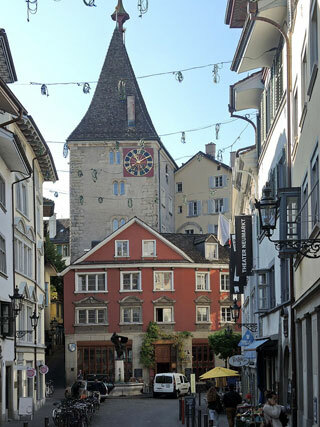 This article uses material from the Wikipedia article "Altstadt (Zürich)", which is released under the Creative Commons Attribution-Share-Alike 3.0 License.